Peak Ski offers you unsurpassed convenience and service. 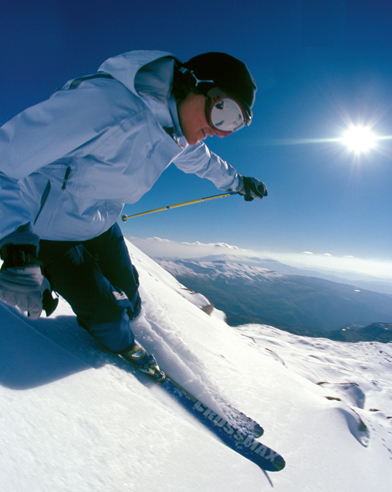 Choose from top-of-the-line, name-brand snowboard rentals and ski rental equipment for skiers and riders of all abilities. Enjoy our fast, friendly service, overnight tunes and hot waxes, as well as terrific demo packages. Our experienced techs are trained in all the latest ski technology and are guaranteed to outfit you with the perfect rental skis or board for your ability level and experience. Peak Ski shop also offers a full selection of ski accessories, including helmets, goggles, gloves, socks, sunscreen and more. We have everything you need to keep you warm and dry on the hill. Let our techs outfit you from head to toe in the best ski rentals in Breckenridge Colorado. Come check us out!